The multi-tool functions as a paper piercer and cutting knife. 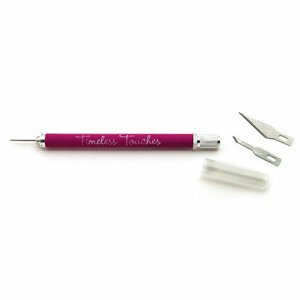 It includes 3 interchangeable tips: 1 needle/awl, 1 stencil edge blade, and one standard blade (for use with a standard self-healing mat). A safety cap and storage tube are included for your protection.